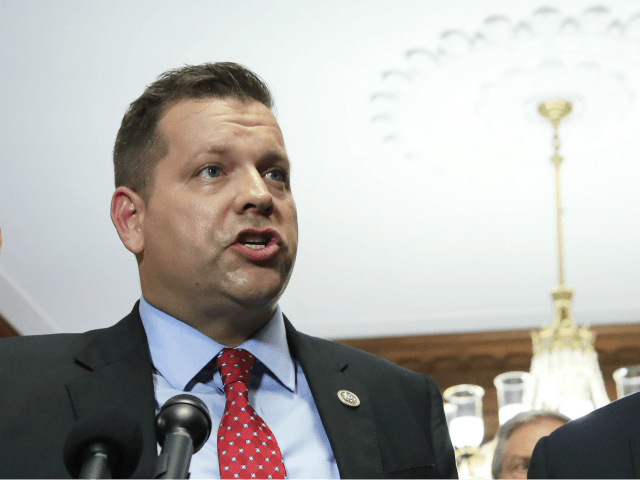 Rep. Tom Garrett (R-VA-5) announced on Monday that he will not seek re-election to a second term in Congress because he is an alcoholic. The announcement came in a two-minute video released by his campaign and first published at the Washington Post, that featured an emotional Garrett explaining why he will not seek re-election. “The recent attacks on my family and myself are a series of half-truths and whole lies. They’re driven more by Republicans than by Democrats,” Garrett said in the video. “There’s one area that I haven’t been honest,” he continued. “I am a good man and I am an alcoholic. This is the hardest statement that I have ever publicly made, by far. It’s also the truth. With this in mind, not for fear of losing, or for lack of love for our great nation, today I am announcing that I will not seek re-election,” he concluded. 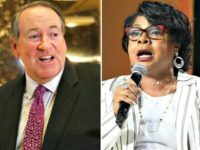 Garrett made his announcement two weeks and one day before the June 12 primary to select the Republican nominee in which he was the only candidate on the ballot. Sources tell Breitbart News that the GOP nominee will likely now be selected by the 37-member executive committee of the Republican Party’s Fifth Congressional District Committee. Though there is no apparent front runner, Garrett’s long-time rival, Michael Del Rosso, may be seeking the nomination. Garrett defeated Del Rosso and several other candidates to win the 2016 GOP nominating convention held in the Fifth Congressional District. He went on to win the general election in the district that stretches from the North Carolina border to Northern Virgina, and is bound on the east by Richmond and the west by Lynchburg and includes Charlottesville, by a 58 percent to 41 percent margin. Former journalist Leslie Cockburn won the Democratic nomination in a Fifth Congressional District nominating convention earlier this month, and party officials have hopes that her well-funded campaign could win the general election in November, forming part of the net gain of 23 seats needed to shift majority control of the House of Representatives from Republicans to Democrats. “Garrett’s chances for victory against the Democratic nominee were recently downgraded from “Likely Republican” to “Lean Republican” by nonpartisan electoral forecasting analysis firm The Cook Political Report,” the Cavalier Daily reported after Cockburn secured her party’s nomination. “Given Garrett’s decision — which came only days after a press conference where the congressman said he did plan to seek reelection — Sabato’s Crystal Ball associate editor Geoffrey Skelley predicts the Fifth District race could become closer between the eventual Republican nominee and Democratic nominee Leslie Cockburn,” the Cavalier Daily reported late Monday. According to a list kept by the House Press Gallery, Garrett is now the 48th Republican member of the House of Representatives who will not be seeking re-election in 2018. Twenty Democrat members of the House will also not be seeking re-election.